Why did it take so long? I have no idea, but thank goodness we have a comics publisher who had the foresight to publish a biography about the grandfather of fantasy, J.R.R. Tolkien. 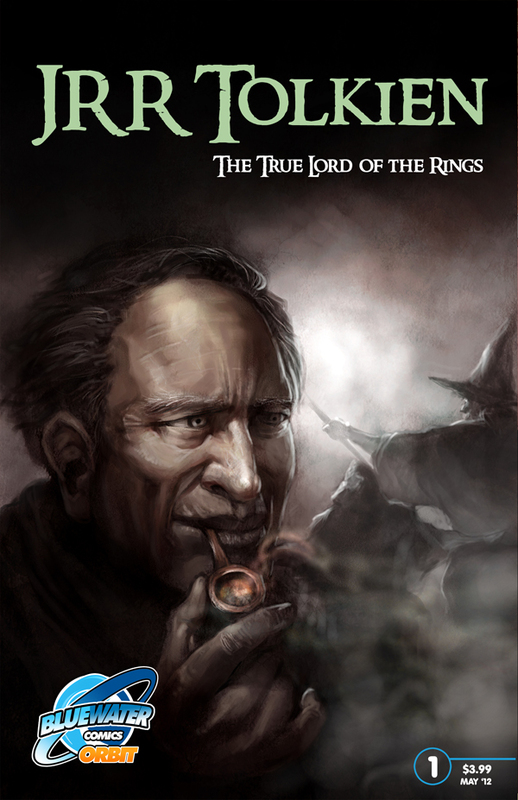 The comic will explore Tolkien's background and seek out those writers, mythologies and experiences which influenced him. Michael Lent and Brian McCarthy (Stephen King and Keith Richards bio comics) will pen the issue with pencils by Luis Chichon. “... we wanted to make sure readers get full measure of the man. That beyond his work in fantasy he was a fragile World War I veteran, well-respected philologist and university professor…all of which played a part in his creation of Middle Earth,” said Chichon. Recommendation: Pre-order the title. It's likely to sell out and Bluewater reports it will not do a huge overprint of the title.